The IELTS Reading Exam is difficult for a few different reasons, but perhaps the most obvious is the time limit. With only an hour to answer all those questions on three different reading passages, it really is a challenge. So how do you succeed? Is there a quick fix? No, sadly there are no easy ways to pass the IELTS Reading Exam. However, there are some different approaches you can consider. Some people like to read the questions first and then read the texts. This isn’t how I read, but many IELTS students swear that it works well for them. To make the best of it, you should read the questions and underline any key words, and then read the text quickly until you find those words (or their synonyms. The opposite way is to read the passage first and then tackle the questions. This is how I read, but many students prefer the first method because it saves time. However, I’ve personally found that reading the text quickly gives you a good idea of where to find answers, and then when you read the questions you can quickly go back and double-check. A lot of IELTS guides will tell you to underline, and that’s for a good reason. Underlining a word will help you find it again quickly when you need to. Even a native speaker can read a text and then later struggle to find an important detail – especially when under pressure! If you underline the words you need to remember, it can save valuable time. Everyone talks about these, and they’re not just tricks to succeed in the IELTS Reading Exam. In fact, they’re essential reading tools that can be used in more or less any reading situation. Skim through a text to get the gist of it, and then scan for what information you really need. Lots of students find that reading the first sentence of each paragraph can help them determine the main idea. This is because the first sentence is usually the topic sentence, and gives a clue to what comes later in the paragraph. Indeed, if done well, this technique can save you valuable time. However, it is easy to overlook important information. 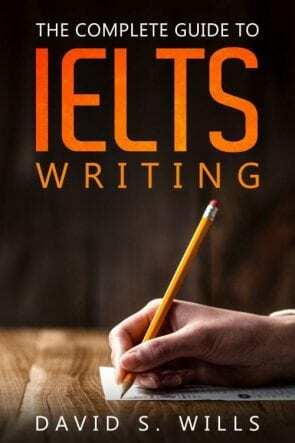 In conclusion, there is no simple trick to boosting your IELTS Reading score; however, any of the above methods can be used successfully if you practice hard and apply them carefully.